Development of brand-aligned key messages for a variety of audiences, including but not limited to: funders, other community organizations, parents, advisory members, etc. The selected provider(s) will work closely with P4L’s founding director (Trina Greene Brown). P4L is committed to diversity and equal opportunities among its contractors and POC/WOC consultants are encouraged to submit responses to this RFP. 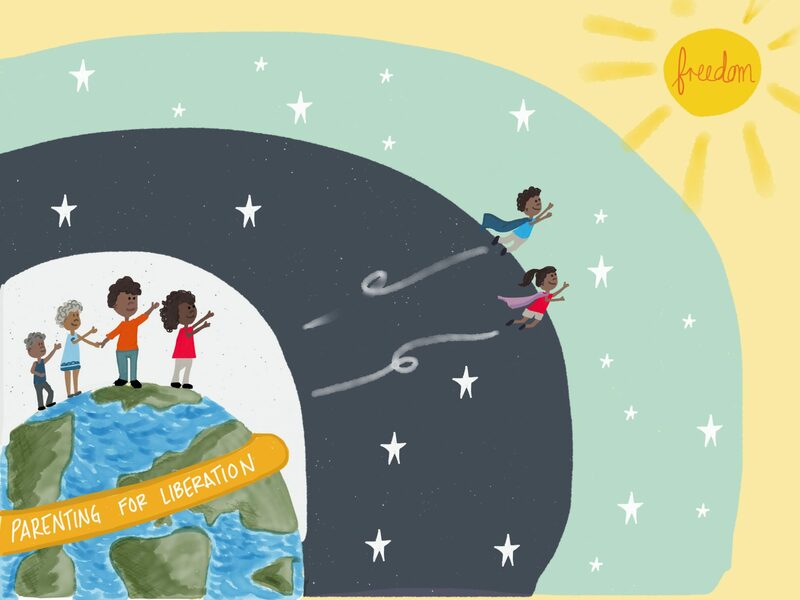 In 2016, Parenting for Liberation was launched as a virtual platform featuring blogs and podcasts to connect, inspire, and uplift Black parents as they navigate and negotiate raising Black children within the social and political context of the U.S. ​Parenting for Liberation is rooted in an Afro-futuristic vision of a world where Black parents are in community with each other to raise Black children without fear and instead parent for liberation. Our mission is to cultivate resilient and joyful Black families that are doing the healing work to interrupt historical traumas, dismantle harmful narratives about the Black family, and create community that amplifies Black girl magic and Black boy joy. Parenting for Liberation is fiscally sponsored by Social Good Fund. Print: Self-published a StoryBook Workbook distributing 100 copies which is currently in the works to be published by Feminist Press. Conference Handouts: About P4L and Liberated Parenting Strategies. To date, P4L has produced over twenty podcast episodes with over 7,500 playbacks via SoundCloud, iTunes, Spotify. Self-published a StoryBook Workbook selling 100 copies at conferences and online. 2,000 followers across social media platforms. Curated hundreds of blog posts for Parenting for Liberation website which received nearly 6,000 visits this past year. Parenting for Liberation has convened over 150 parents in Los Angeles, Detroit, Chicago, Idaho, and San Diego. Presented at over 15 conferences, including Powerful Parent Conference, Allied Media Conference, and Mama’s University — an online training program for mothers interested in social justice and advocacy. Participated in two media trainings: Women’s Media Center Progressive Women’s Voices and an Op-Ed training to enhance strategic communications as a vehicle for narrative change and advocacy. Development of Organizational Brand Strategy: Establish a clear brand driven by brand guidelines—a delineation of key aspects of organizational personality, positioning, visuals (incorporating/informed by existing logo and colors), and language (e.g., tagline, approved messages, and more). Development of Key Messaging: Develop a plan to identify key messages for multiple audiences (eg, funders, conferences, parents/caregivers, social media followers, podcast listeners). Print Materials: Develop a two-pager (front/back) of the fundamentals of the P4L brand: who we are, what we stand for, what we do/do not do, what stances we take publicly and why, and our brand attributes. These brand guidelines will direct future decision-making about all communications from what to feature on P4L’s website to who/what entity should be the “voice” of the podcast. Podcast Plan: Use data from podcast episodes that have already been produced to create a plan that provides guidance on how to incorporate messaging in future episode themes, potential guest interviews and other ways to increase listenership. Social Media and Website Plan: Strategies/examples/campaign ideas of how to incorporate messaging and social media plan to increase online engagement and drive traffic to websites. Research key influencers and best audience engagement platforms (i.e. instagram stories, facebook group, etc) to increase an active followership. process developed. Executive Director has led and developed all existing communications materials. Submitted proposals shall not exceed $7,500. All proposals must include a budget and budget justification for all costs associated with this project. Costs must detail all components of the project. P4L reserves the right to tie payment to receipt of deliverables. Proposal documents must be received by email to P4L’s Executive Director, Trina Greene Brown at parentingforliberation@gmail.com with the Subject Line: P4L Brand & Messaging Consultant.